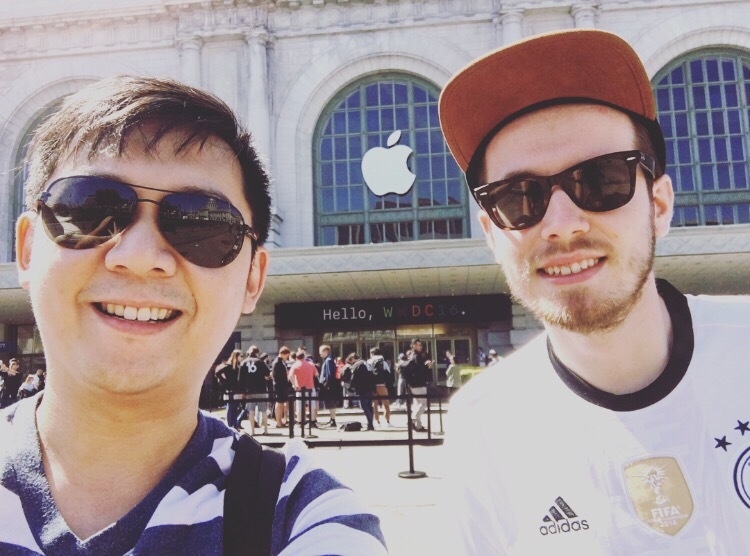 The WWDC is rocking San Francisco this week and our two engineers Kiat and Hans have the pleasure to attend it this year. After two days done and three more to come, they would like to give you a brief overview about new technologies and – most important – the way we plan to integrate those changes in our next major Titanium release 6 this fall. The Interface Builder is now faster and provides a simplified UI to manage different screen sizes. So the Interface Builder can be used better then ever before to design layouts to be used in Hyperloop-empowered apps. Using Editor Extensions, you can now write Xcode extensions to customize the editor UI to your needs. Existing extensions can be downloaded through the Mac App Store in macOS 10.12. Swift 3 is the latest version of the programming language released by Apple back in 2014. Since it was open-sourced last December, it’s development can be tracked through it’s Github repositories. iOS 10 is the big-player this year. Not only by improving it’s stability across devices, it will also work with the Apple Watch and macOS better than ever before. Interactive Notifications: Deprecating the old notification-system, interactive notifications can now be configured better than ever before using extended configuration-settings and environment-based behavior (iOS, CarPlay, Apple Watch). Apps for the Messenger: Developers can now write own Apps with their personalized UI for the Messenger to enrich the user-experience. In addition, developers can create Sticker-packs to share PNGs, GIFs and JPEGs. Speech Recognition: The speech recognition allows the developer in iOS 10 to provide either an URL or even audio input to be parsed in realtime. The API returns the different text transcriptions that represent the keywords of the full sentence, that is also returned part by part. It is my favorite new API so far! Cloud Sharing: Using cloud sharing, users can now share your iCloud content with their friends and family by defining the files they want to share and present them in a sharing dialog afterwards. The developer can pre-define permissions to set the visibility of the files and provide additional information to display like a preview image and content name. New Apple Music: Apple Music got some critics over the last months of being not intuitive enough in managing the different users interests (local music VS. cloud-based music). In iOS 10, Apple redesgned the Music app from the ground and reorganized the tabs to improve the usability for the users. Home: The HomeKit API is available on iOS since iOS 8 and can be used by developers across the world to enable and ease home-automation on iOS. in iOS 10, Apple provides an own App to manage they user’s home centrally in one application instead of having one application for each controlled component. They also improved the HomeKit API by adding different camera profiles, audio states, stream-control and much more. Improved 3D-Touch: The 3D-Touch functionality (aka Force-Touch) has been around since iOS 9, using the pressure sensor to enrich the user-experience. In iOS 10, the developer can use 3D-Touch in WebViews better than before, by providing custom actions to be displayed in the WebView – like it is already possible with usual views. In addition, the developer can now define own animations to handle the transition from peeking a view to preview it and popping it to show it’s full context. That allows the developer to build even more personalized interfaces by adjusting the animations to the usual app-flow. Apple Pay Web: Finally, Apple’s own payment service Apple Pay will finally be available on the Web, partnering with tons of online-shops for the initial release this Fall. Talking about the most exciting ones in this blog post, there are even more new features and improvements in iOS 10 that you should check out here. WatchOS get’s updated for the release this fall as well. Improved launch: Apps in watchOS always had the problem to launch quite slow. In watchOS 3, apps are supposed to launch immidiately by caching it’s state way more preciecely. New faces: WatchOS 3 brings lots of new face and allows the user to customize them, as well as switch between different faces more easily. Improved fitness: Fitness has always been a huge use-case for the Apple Watch and people love it. In watchOS, they can see now share their fitness data to friends and competite against friends by receiving friends data as well. Messenger: The watchOS messenger adopts many of the discussed iOS 10 features as well, including stickers and new texting effects. Mac unlock: Finally, with watchOS 3 in combination with macOS 10.12, people can unlock their Mac by using the Apple Watch just without entering a Password anymore. It’s a pretty neat feature to ease the workflow between devices and combines the usage of different devices across platforms. App Transport Security: For all iOS-applications being submitted starting at January 1 2017, Apple will require them to use ATS. It detail that means that only HTTPS-requests are allowed anymore and applications that still use HTTP will be rejected for new app submissions. Apple will most likely send-out a multiple e-mails over the next months to ease the migration process. So we talked about interesting new features for both users and developers. Now the big question is, when and how Titanium Mobile developers can adopt those features and improvements in their new and existing applications. The answer is: NOW! 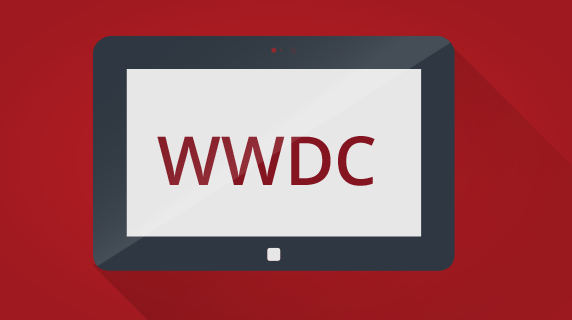 Please check-out the module on Appcelerator Labs to get started today. 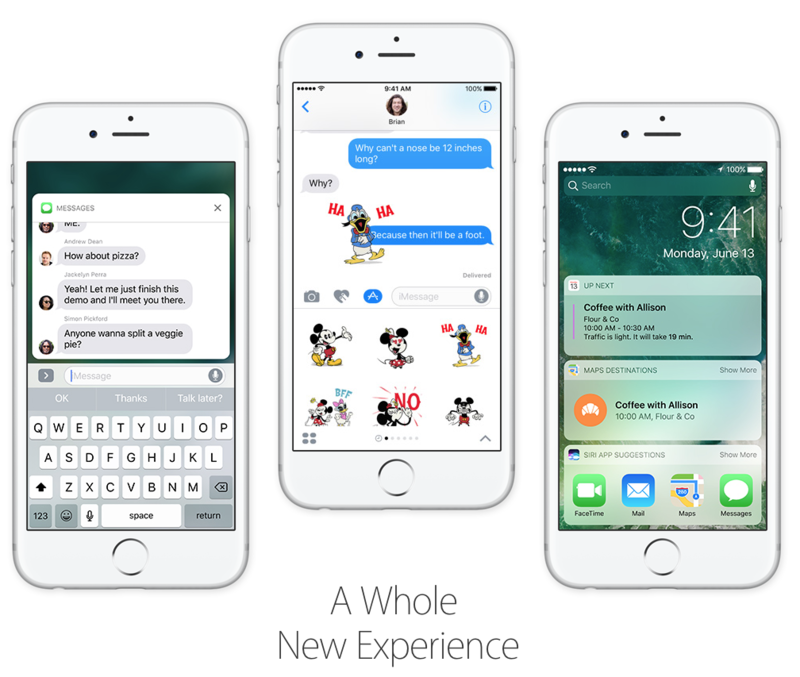 A list of all iOS 10-related features can be seen here. Finally, Titanium Mobile 6.0.0 is scheduled to be released aside the stable release of iOS 10 and watchOS this Fall in September. We are happy to receive your feedback on the new features and will keep you updated about the WWDC using the @AppcDev on Twitter. No mention that Apple will require HTTPS connections for iOS apps by the end of 2016. App Transport Security, or ATS, is a feature that Apple debuted in iOS 9. When ATS is enabled, it forces an app to connect to web services over an HTTPS connection rather than HTTP, which keeps user data secure while in transit by encrypting it. How will this effect the Titanium.UI.createWebView method or Alloy element to create a web view. Will these methods throw errors if the url is not switched to HTTPS? Hey Markey, thanks for leaving a note on that. I added a paragraph for that to the initial blog-post. Short answer: The Titanium developers have to migrate their servers / API’s the exact same way as native developers do – since the change is nothing that we can influence from the SDK-side. We will schedule a blog-post for that change together with the 6.0.0 release and iOS 10, but Apple will also send- out an e-mail with detailed information.